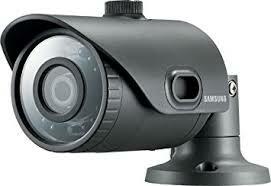 CCTV cameras are playing a major role in saving Jinja hospital from drug theft. File photo. JINJA. Just about eight months ago, it was a common practice to hear complaints about shortage of drug supplies in Jinja referral hospital. It was a story that had put the medical workers on spot for the losses of drugs supplied by National Medical Stores. Right from Jinja referral hospital to health centres in villages, the cry about drug shortage was a big factor. The Jinja Referral Hospital director then Dr Sophie Namasopo [now in Kabale referral hospital] says that the drugs that were supplied to the hospital by NMS would never complete the eight weeks cycle but would just last for two weeks and there is stock out. She described healthcare professional who steal drugs from the hospitals that employ them as unethical and a real threat to patient care in the country. “Although there were medicines/drugs that were being stolen, we could not trace this with close monitoring and supervision to avoid this. There was even a time we lost a baby here and we could not trace it up today, so management sought CCTV cameras to get rid of this,” said Dr Namasopo. The chairman hospital management Committee Brewer Abaliwano said they sought CCTV cameras to monitor staff and other people from out at the hospital in a bid to tackle anti-social behaviour which has been plaguing the medical facility. He said after discovery that medical workers were stealing drugs from the hospital, — patients and hospital management bought 12 CCTV Cameras from KIBs Company in Kampala at Shs 43m and installed them in the theatre, Pharmacy, medical store, wards and the main one at the entrance. “Drugs stolen from Jinja hospital were finding their way into Kampala and other surrounding clinics and pharmacies but now with installation of CCTV cameras, I want to tell you that we monitor everything and drugs now complete the eight weeks cycle and even remain,” said Mr Abaliwano. He explained that the CCTV cameras have not only reduced drug thefts but also incidents of bribes at the hospital by medical staff, thefts of other properties at the hospital by patients, incidents of harassments by medical workers and thefts at the hospital. He explained that CCTV cameras monitor medical facilities round the clock and keep tab on disputes between doctors, other medical workers and caretakers and that based on the plan, the CCTV cameras cover all significant areas on the hospital premises. “And all areas were hospital staff and patients or caretakers interact are now under constant surveillance,” Abaliwano said. Amon Mujuni, the hospital security officer said the hospital administration has teamed up with police to ensure the CCTV cameras to overlook the entire hospital and are able to observe and record anything being done by the staff, patients, attendant and even foreigners. He revealed that all CCTV cameras are connected to the control room along the hospital’s main gates and streets capture every incident. Dr Namasopo said the hospital CCTV and surveillance cameras allow you to effectively monitor large areas with minimal manpower while helping to increase security and control costs. “And our patients and employees can feel safer and security breaches can be held in check and surveillance helps to provide visual evidence in case of incidents, help to increase productivity and to prevent false claims,” said Dr Namasopo. He said formerly they would have accusations of disappearing babies, patients being , molested by medical workers, drug thefts, incidents that are unethical at the theatre and incidents were patients have been abandoned to die but that now these have reduced. Ms Jane Mudondo, an expectant mother, said she was worried about the safety of her baby at the time of delivery but that the installation of CCTV cameras makes the place secure. “I heard prepared to come with more than two attendants to take care of my baby since the disappearance of a baby at the hospital sometime back because the mother was alone at the ward but with installation of CCTV cameras, I am secure,” Mudondo said.